In the moment that it happens, it’s as if the world stands still, but for the child alight in front of you. The variable that brought that particular child to that particular moment of discovery could be one of many: the precise combination of computer code that brought a Lego robot to life; a chemical reaction that produced an explosion; a camera angle that framed the world just so. The constant in that transcendent moment is the physical act of discovery played out on the child’s face. It is, quite literally, the magic of learning unfolding before your eyes. At EXPLO, our mission is to educate through light and exploration. Our job is to craft curriculum that serves as developmentally-appropriate stepping stones towards a child’s moment of discovery. We believe that the act of learning is made up of many such moments, and that the wonders of educational discovery are achievable at every age. We believe learning mirrors life — full of questions, tensions, and worthwhile digressions in an ever-changing world. And we know that immersing ourselves in the earnest exploration of the world of people and ideas reveals the joy of learning and with it the joy of living. 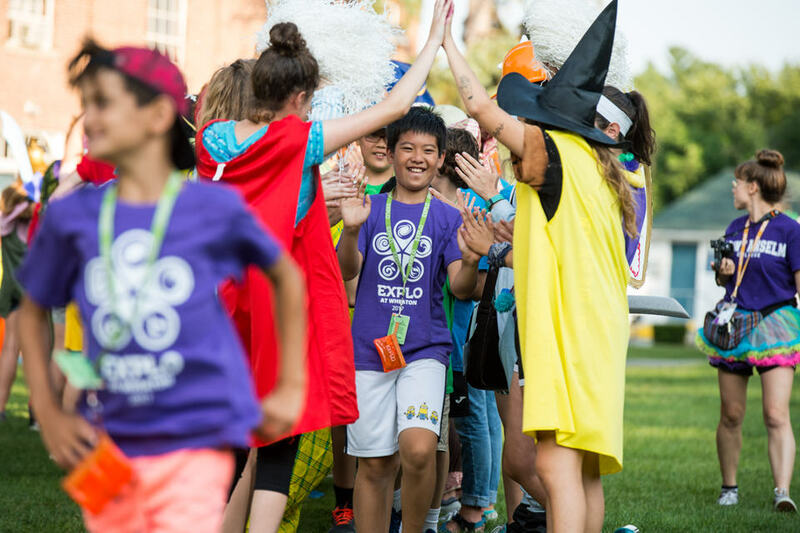 And so we spend the year between summers researching, honing, revisiting, and refining our programming, curriculum, and approach to the entire program so that we can best support students on their path toward discovery at EXPLO at Wheaton. Ultimately, they are the makers, writers, and creators of their own futures. That’s why our thoughtful approach to teaching — tried and tested with thousands of kids for more than 40 years — puts students at the center of their own learning. Who Are Pioneers + Voyagers? 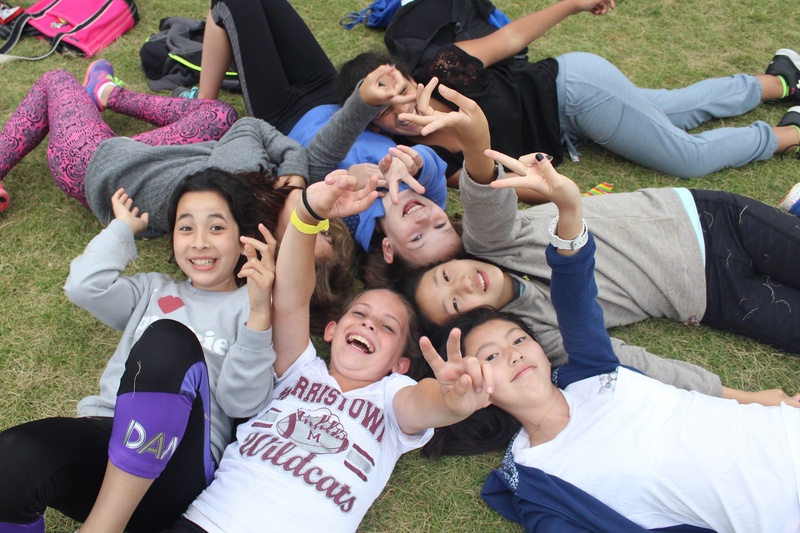 At EXPLO at Wheaton, we know that there are significant developmental differences spanning the age groups that come to our programs each summer. Sure, we could lump them into one large group and teach them all the same way. But we also know that these groups of students don’t learn the same way, and so how would we be best serving them by providing generic curriculum and instruction? The choice we have made is to group students into age groups. 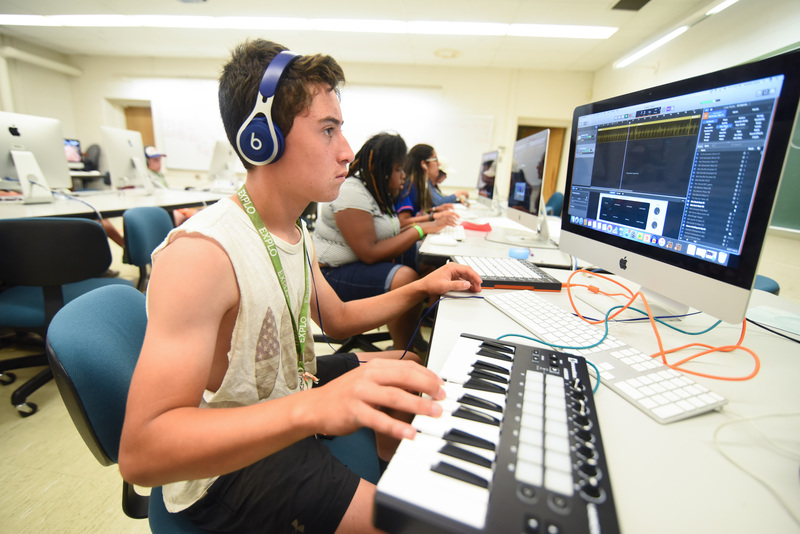 Students entering grades 4+5 are our Pioneers and those entering grades 6+7 are Voyagers. (At EXPLO Mini at Wheaton we also welcome Explorers, our youngest friends who are entering grades 2+3). Receptive learners. Intellectually curious. Playful. These are some of the words that describe the rising fourth and fifth graders that comprise our Pioneer group. Characterized by their widening interest in the world, but still rooted as concrete thinkers, Pioneers are learning how to navigate bigger ethical questions related to problem-solving and issues of “right and wrong.” At this age, students are still primarily adult-oriented. They take comfort in the parents, teachers, and other grown-ups that help shape their world. And while they are starting to form greater peer allegiances, they still respond eagerly to attention from adult figures. Pioneers still approach the world with a mind towards exploration. With slightly greater control of their fine motor skills than the Explorers, Pioneers enjoy working with their hands, engaging their whole body in building something, and derive satisfaction from creating a tangible product. Throughout this process of building and creation, Pioneers also enjoy explaining things. Ask them one prompting question about what they are making or what they did in class today and you are sure to get a more complex and detailed answer than you bargained for. Cognitively, fourth and fifth graders still tend to think pretty concretely; they see the world for its literal meaning. In many ways, the concrete thinking that characterizes this age group is one of the biggest developmental differences between our Pioneers and Voyagers. By fifth grade these students are starting to pick up on more abstract concepts and are grappling with a more mature sense of right and wrong. As Chip Wood writes in his book Yardsticks, nine- and ten-year-olds are “struggling with the cognitive task of understanding ethical behavior at a new level” (p. 108). We gave our Pioneer age group the name for a reason — developmentally, Pioneers are at a stage in their lives where they are exploring uncharted territory in the land of the heart and the mind. 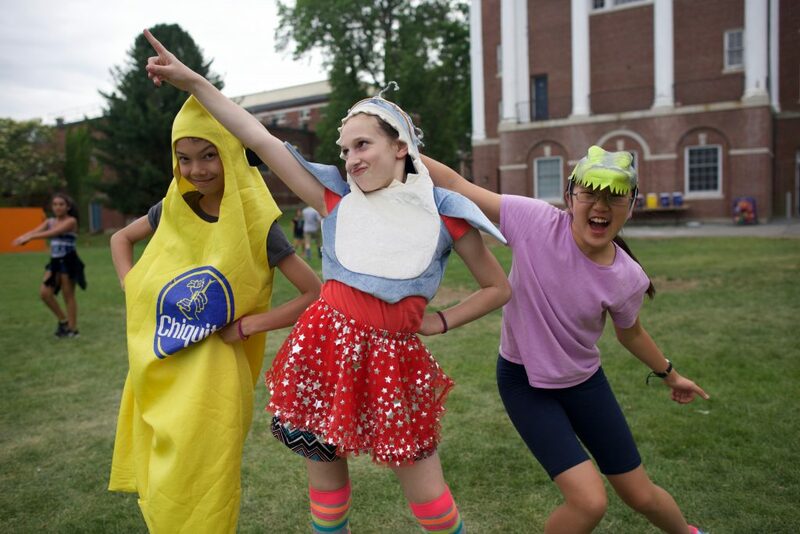 Pioneers’ proclivity towards exploration and discovery and adult orientation shapes the daily rhythms and curricular approach we take to learning at EXPLO at Wheaton. For this playful, curious, and hands-on age group, we craft our courses and workshops so that the theme or story tends toward fantasy. 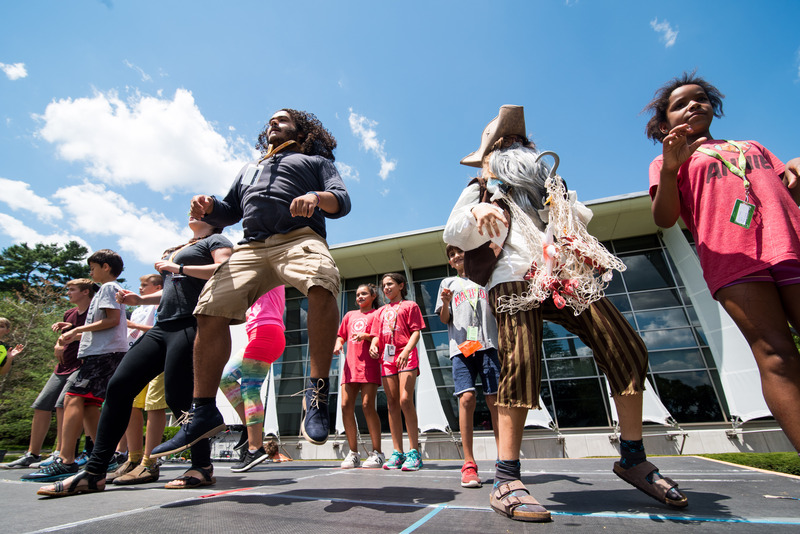 Hunting a treasure, capturing a villain — the threads of skills learned in a more traditional classroom are interwoven into an imaginative narrative at EXPLO. 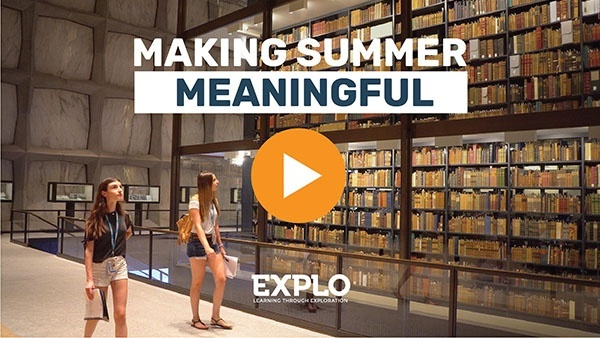 Kristi Jacobi, Assistant Director of Curriculum and Instruction at EXPLO, works year-round to develop summer curriculum that is age-appropriate and engaging for our students. 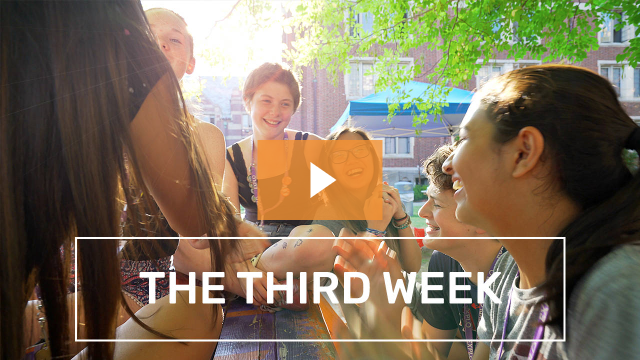 An imaginative approach to learning runs through every element of EXPLO at Wheaton. We know that whimsy and wonder have a place alongside pragmatic investigation. For instance, each day the Atlas runs the Daily Challenge, providing a series of clues that students use to find the mystery staff member. In the afternoon, the Daily Challenge Character — such as Pirate Peacock who voyaged for decades to set foot on land for the first time in years — arrives on stage to announce the mystery staff member and pull a winning student up on stage. With their eager, expressive, and receptive nature, Pioneers step right into the fantasy that is EXPLO, and learn at every moment along the way. Budding abstract thinkers. Challenging assumptions. Seeking identity. For our Voyager students that are entering 6th and 7th grade, the world they are standing on starts to shift in disorienting ways. Students at this age move from being largely adult-oriented to largely peer-oriented. They begin thinking more abstractly. As David Torcoletti, the Head of EXPLO at Wheaton, says, “[they are] learning that words don’t always match their dictionary meaning... they can be not just a signifier but also used as an abstraction." Eleven and twelve-year-olds begin to challenge adult judgment and previously held assumptions as they strive to carve out a unique place for themselves in the wider world. Indeed, these pre-teenage years are all about the desire to shape an identity. They are eager to assert their newfound independence and eager to gain the approval and friendship of their peers. Students at this age are undergoing a significant change in the way they approach their own learning, their presentation of self, and their relationships. As Wood writes, “Success in the school world for children from twelve to fourteen depends on the flexibility of teachers and administrators in creating environments and curricula that can respond to the developmental chaos of these early adolescent years,” (p. 143). Throughout this turbulent and emotional time, sixth and seventh graders need adult buoys that see, understand, support, and give them space when necessary as they ride the waves of independent self-discovery. As Voyagers become more peer-oriented and more interested in choosing what identity they want to take on, the fantasy of the Pioneer world slips away as more real world applications take precedent. With their budding new sense of self and their sensitivity to peer friendships and opinions, we ask Voyagers to push themselves in the direction of looking outward, too. Students this age are “capable of self-awareness, insight, and empathy,” Wood writes, and consequently, we encourage Voyagers to share their ideas with others and to listen to other perspectives too (p. 148). They are asked to hear the value in multiple different solutions, and to consider an idea that could be different from their own. The consequent knowledge these middle-school-aged students leave EXPLO at Wheaton with is a world perspective laced with empathy. Rather than turning inwards, we give them the tools and the confidence to shine outwards as they move ever forward into adolescence. And with our rising seventh graders, this is particularly true. 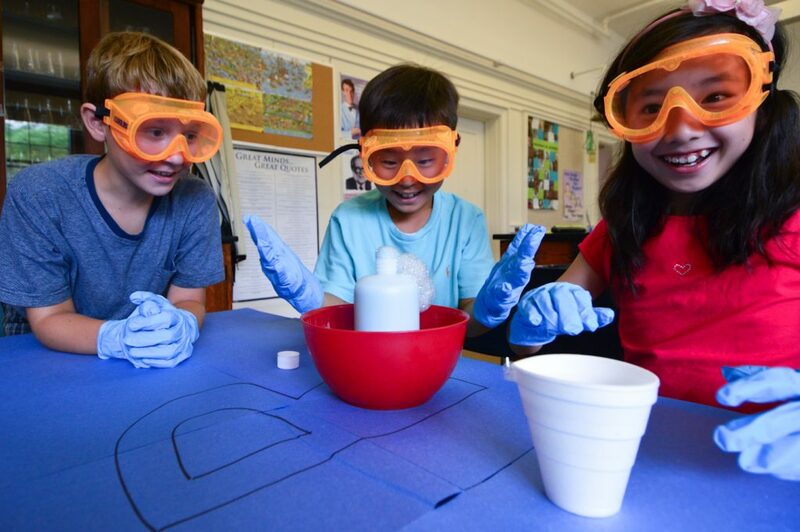 On any given day, students of all ages at EXPLO may be asked to build something, collaborate on an idea, give feedback to a peer, share something they have created, or solve a complex problem. As complex human beings, whether they are seven, twelve, or somewhere in between (or our Mini Explorers), they are capable of engaging in — and thriving — with all of these types of learning. The scaffolds of support we provide vary based on the needs of each unique age group. So yes, we are in the business of discovery — encouraging our students of all ages to learn something about themselves and the world. In the process of all of this research and careful planning to fully meet the motivations and whimsy of our kids, we continuously learn something about the child that still lives inside us, too.